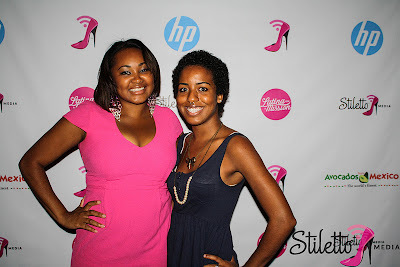 Teen Mom NYC: #SMLatins Kick Off Your Heels Event! #SMLatins Kick Off Your Heels Event! 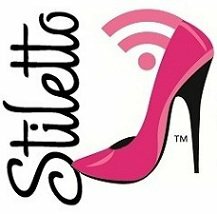 The first week of August was nothing short of amazing for me and I know for a fact that the Stiletto Media Kick Off Your Heels Event at Pio Pio is the reason for this! Stiletto Media's event was, in short, about celebrating Latina bloggers. However, it was SO MUCH more than that for me. The event helped motivate me, encourage me and let me RELAX after such a stressful and long day! Alexandra from Alexandra- Elizabeth.com, former Teen Mom and Me! Upon arriving to Pio Pio and walking into the beautiful venue I was greeted with a big hug from the Founder of Stiletto Media, Magdalia Rivera. Magdalia is also a single mom who is on a mission! From that point on I knew this was going to be a great and welcoming event. Let me stress that this is the first time I met any of these women and with in an hour and a half we laughed, drank AMAZING Sangria, shared stories and inspirations with one another and left the event friends! The atmosphere in the room was welcoming, inviting and joyous all because of the amazing women there. These women become my team to attend Blogher12 with. Without them I would have been LOST! I also have to thank you wonderful sponsors that made the event even more joyous. Glitter Tattoo NY was there doing wonderful and very sparkly glitter tattoos, Covergirl Outlast All Day Lipcolor, which it really does last ALL DAY, Avocados from Mexico, the classic Sweet Pickles books were in the house as well with a FREE EBOOK DOWNLOAD and HP had was giving away a free HP Faux Canvas voucher to decorate our homes with. The Kick Off Your Heels event was the perfect opening to what would become a wonderful week with my girls: Alexandra-what a time we had, Sili whom has a huge heart and legs that never stop dancing, my piercing buddy Maria, Lisa who encouraged me so much in a short amount of time, Monique and Rachel who has found the fountain of youth just to name a few!